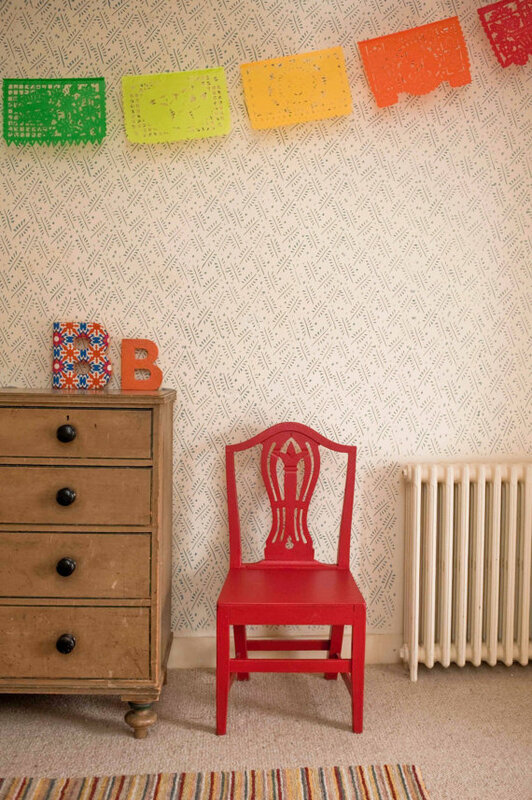 Want to add character to your walls without the pain of papering? Check out these great ideas. Patterned walls are back in, and wallpaper remains, as ever, pretty much a giant pain to deal with. First, you have to find some paper that suits your style. Then, you have to practically take out a loan to afford the stuff. Then you have to glue it onto your walls—and you’d better get it on straight, because that glue is not kidding around. Lastly, if you ever get tired of it, you have to remove it, a process that any DIY renovator will tell you is one of the least fun of all timezfbzcuyqsybrvyararsyawfcfawwursr. There’s got to be some other way to add character to your walls, right? Right! If you’re into having a beautiful home with minimum headache tax, we’ve got you covered. Here are our eight absolute favorite ways to get pretty patterned walls, without the pain of wallpaper. Happy decorating! 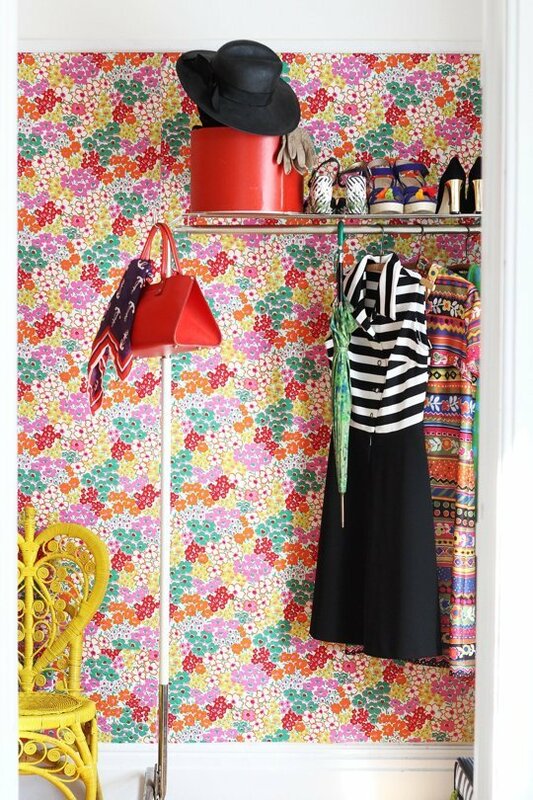 When is bold, punchy wallpaper inexpensive and easy to remove? When you use fabric! Just pick a print you love, and roll it on with cornstarch. Add a little water, and your fabric wall covering will peel off without leaving a mark. Into pretty patterns, but not into a big commitment? Try a dotting of mini decals. These peel-and-stick vinyl cutouts will last for years if you’re into them, and will peel off without a trace once you’re over it. This delicate black and white wall treatment couldn’t be easier. 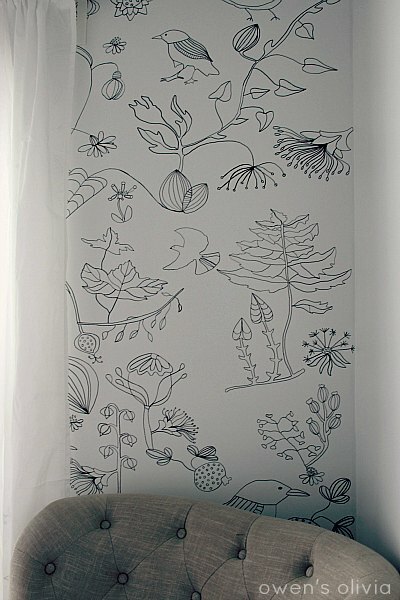 Just grab a paint pen and a projector, and trace a design you love onto a plain white wall. These patterned rollers are (seriously) brilliant—and ridiculously easy to use. Just paint a background color, choose a pattern color, and roll a fun floral, geometric, or woodsy pattern right onto your wall. 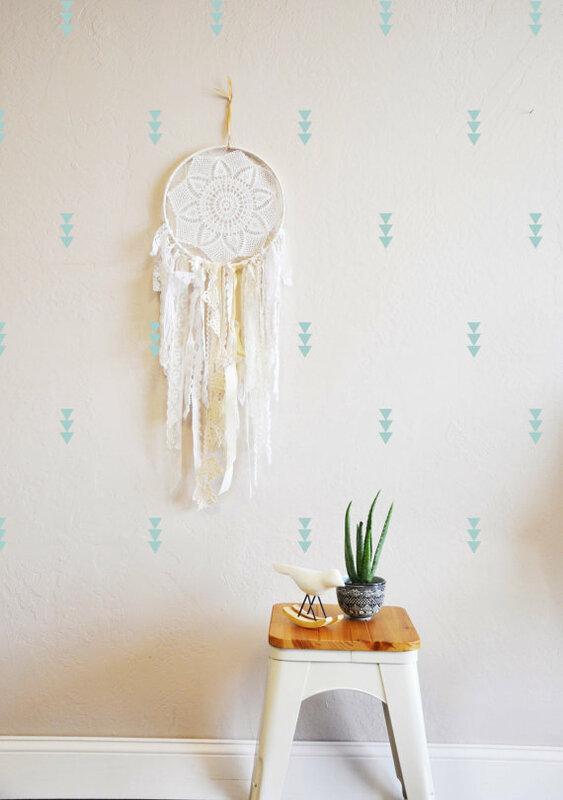 Among all of the wallpaper alternatives the craftiverse has to offer, stenciling is the prettiest—and the classiest. Choose from Moroccan motifs, French fleur-de-lis, and quirky chevrons in multiple colors. When you’re ready for something new, no need to strip. Just paint over and start again. This paper wallcovering is easy to wash and even easier to remove, and will last for as long as you love it. 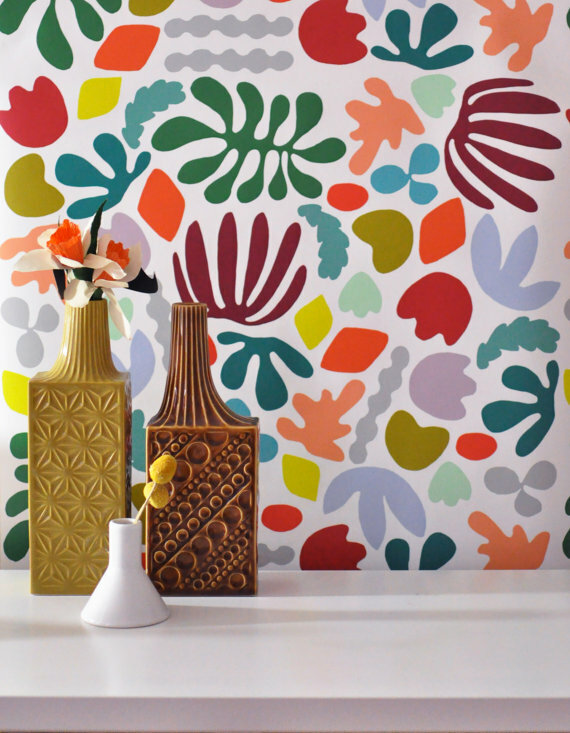 It also comes in a range of truly chic patterns: rainbow arrows, artsy leopard print, polka-dotted pineapples, and the colorful Otomi-inspired motif pictured below are some of our faves. 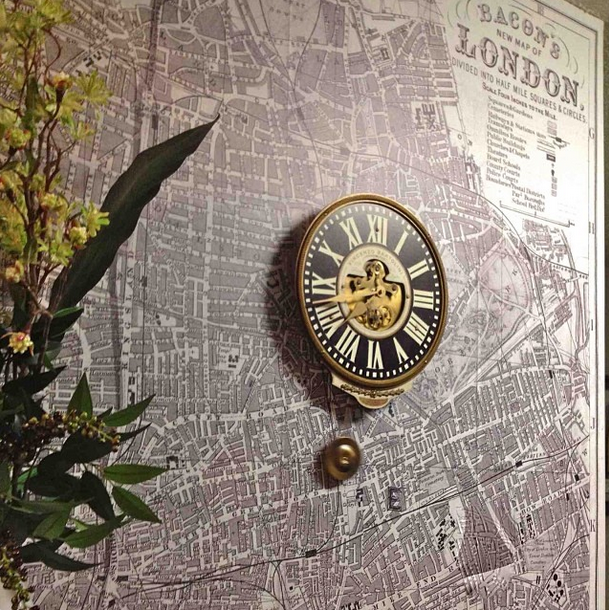 If you’d love the look of a giant map or a woodland forest on your walls, go for a peel-and-stick vinyl wall mural. 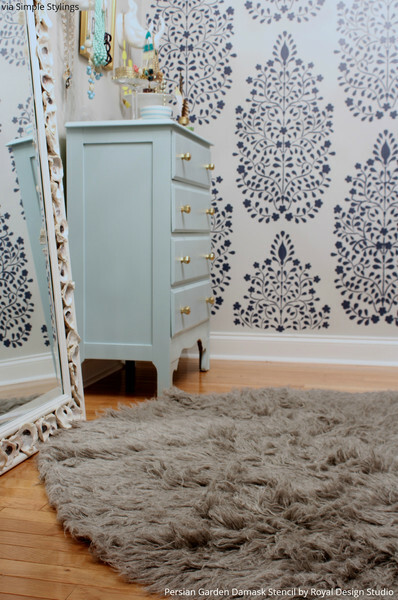 These decals are super-easy to apply, and even easier to remove when you want to change it up. 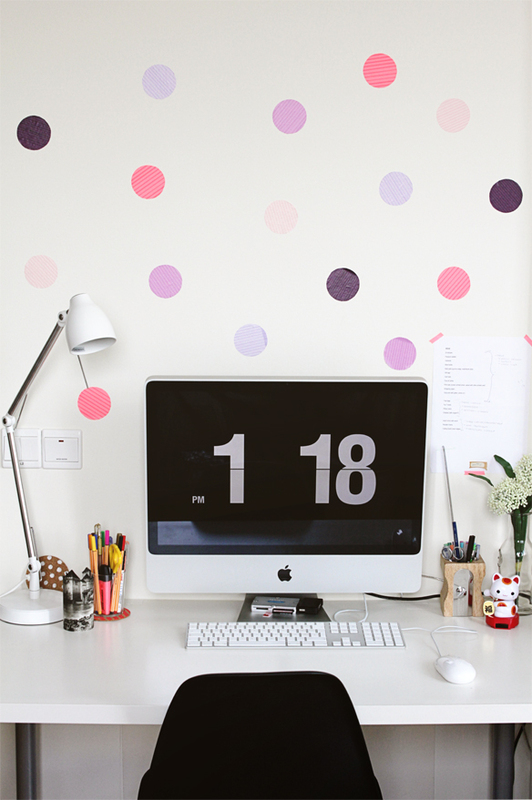 You already know all of the super-cute things you can do with washi tape. Try this purple polka-dotted twist for a custom accent wall that’s cute enough to copy. Are your walls popping with pattern, or just plain? Do you love any of these ideas?